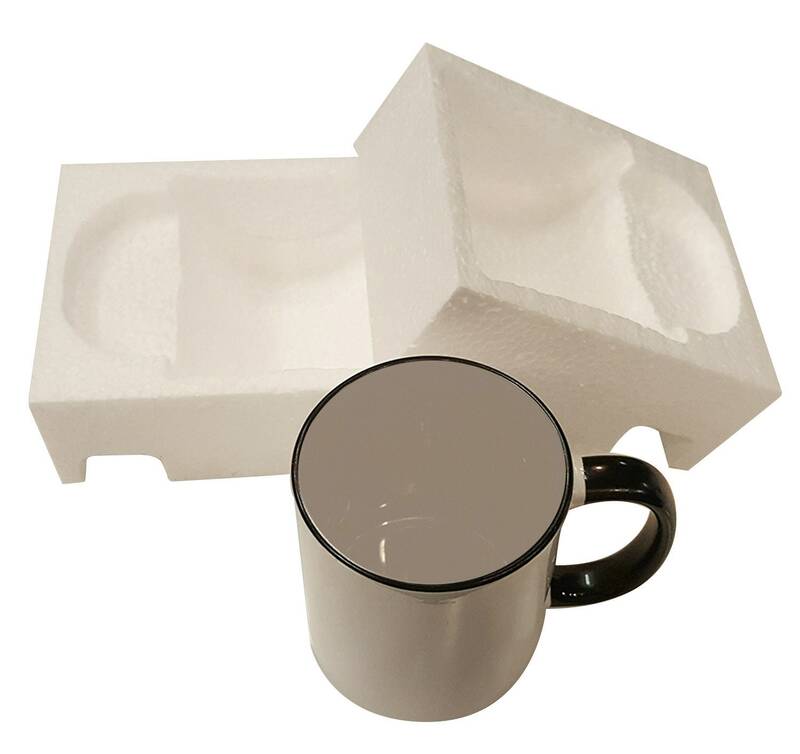 NOTE: Due to a delay in receiving our latest stock of blank mugs, mugs ordered before 10/29 may take up to 1 week to ship. Please keep this in mind when ordering. We apologize for any inconvenience this causes. 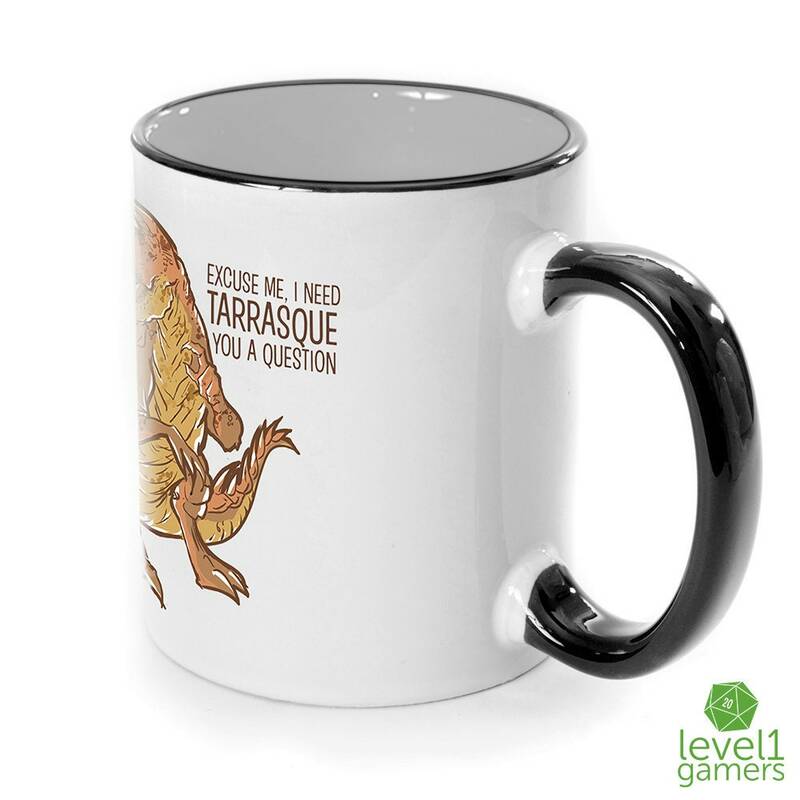 Excuse me, I need Tarrasque you a question! Famous last words of a bold adventurer with too much in diplomacy and not enough in common sense. Please don't approach a Tarrasque! 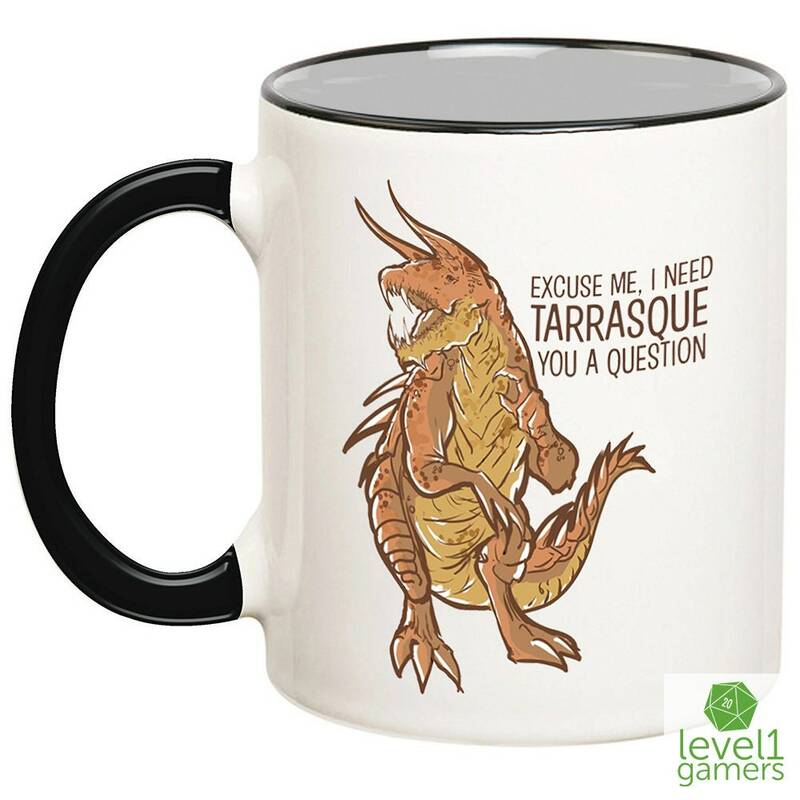 keep a safe distance and if you really must get near one, please just buy a Tarrasque mug by Level1Gamers for yourself or for one of your crazy role playing friends as a gift. 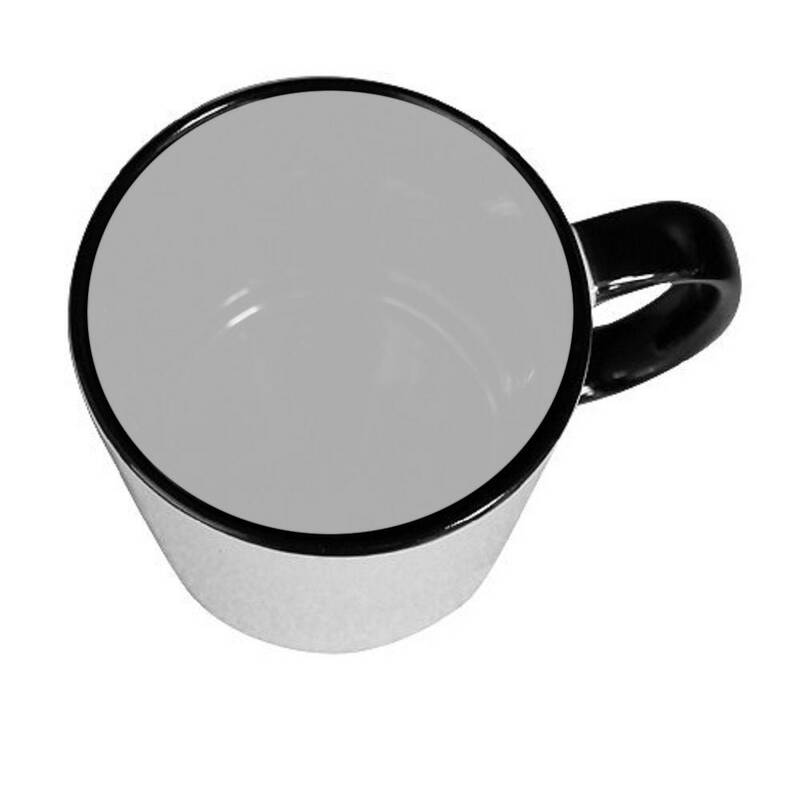 It may also please you to know that these sleek white mugs have a very modern look, featuring a black handle and interior. We hand press all our rpg mugs with high quality sublimation inks, making them more vibrant and dishwasher safe! 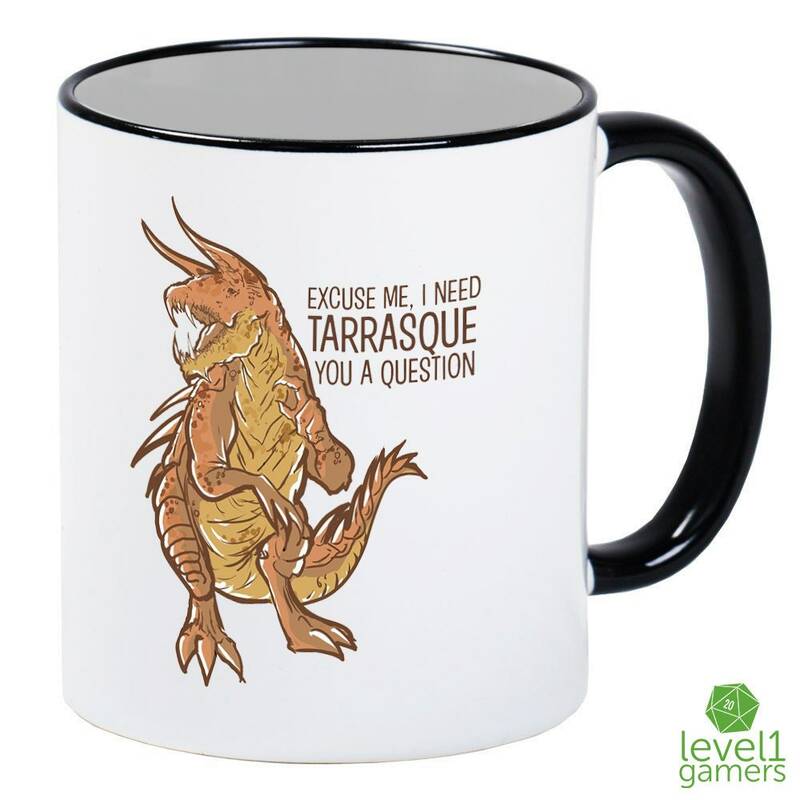 Do the right thing, stay away from the Tarrasque and get the mug instead.